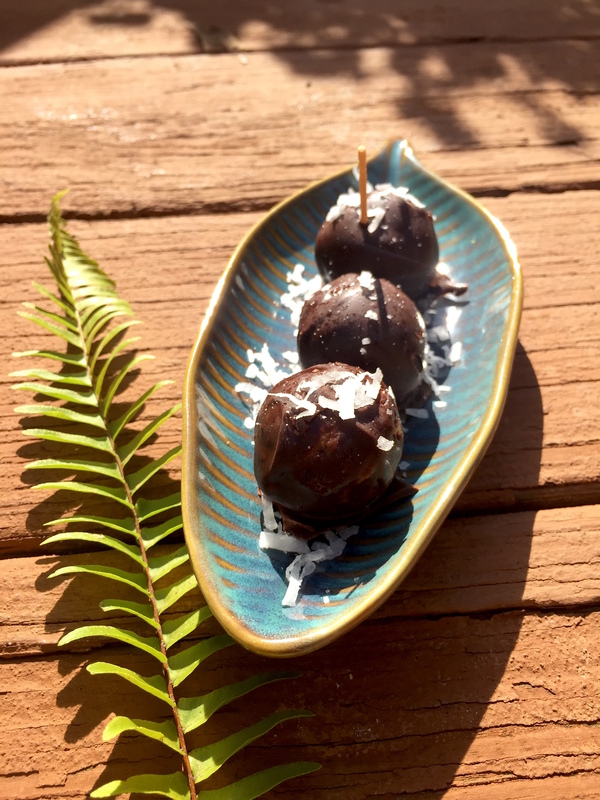 Purely Pinole | Pinole Chocolate Dessert Bites! 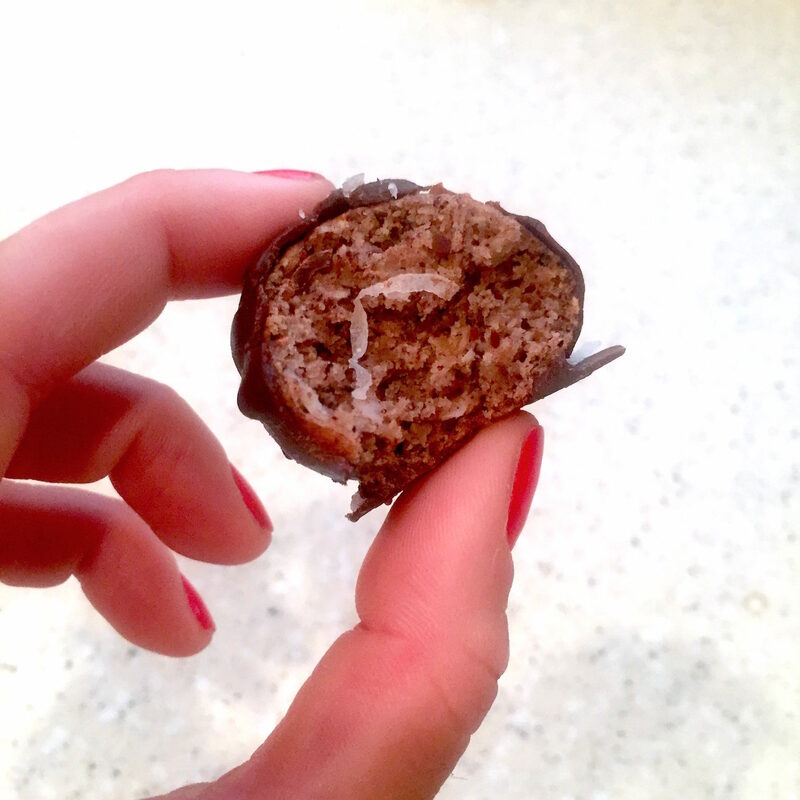 Home » All Posts » Pinole Chocolate Dessert Bites! Attention all chocolate lovers! We have a new treat to excite your taste buds! Not sure what to bring to that upcoming holiday party? Have family coming over and need something quick and easy? Well look no further! Our chefs have whipped up the perfect recipe that is delicious AND nutritious! These bites are tasty, super fast to make and great to share. PLUS, they’re much better for you than Aunt Mildred’s fruit cake. Each pinole bite is packed with protein, fiber, and antioxidants. And, don’t forget, a heavenly taste! Just follow the simple recipe below to enjoy these delicious bites in no time! Step 1: Add 1/2 cup of Purely Pinole Original and 1/2 cup of Bisquick baking mix. Stir together. Step 2: Add 1/2 – 3/4 cup of milk and mix until forms “pancake” consistency. Step 3: Add 1/2 cup of shredded coconut and 1/2 cup of unsweetened applesauce. 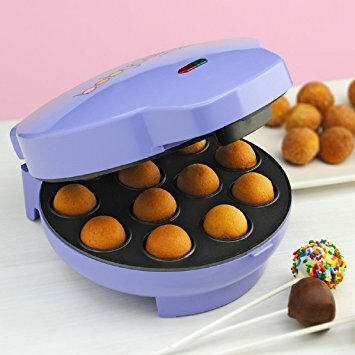 Step 4: Fill the cups of the baby cake pop maker and cook for 5 minutes. Step 5: Melt the Ghiradelli Dark Chocolate Melting wafers in the microwave per instructions included on the bag. After the pinole bites have cooled, dip them in chocolate and place on flat pan or plate to cool. Step 6: For added fun, you can also put these bites on Cake Pop Sticks and sprinkle with extra coconut on top!